Happy Thursday & nearly Labor Day! Hopefully that means a long weekend of crafting and/or enjoying the last long weekend of summer for everyone! I know I’m in need of some crafty down time. I have been crazy busy this past month between work and my DT obligations, I feel like I’m just now coming up for air. A few weeks ago, I looked around my ever-shrinking crafting space and realized that I’m a craft supply hoarder. I own it and I’ll admit it. I blame the stamp companies for making such cute stamps and coordinating dies, pretty papers, beautiful inks and sparkly things. There probably should be a self-help book or a 12-step Craft Hoarder Program. I know I can’t be the only one, am I right? It’s too easy to accumulate lots of craft supplies. It’s the, ooohhh I like what so-and-so did to make that card and I have to have those stamps to recreate it or I love that ink color so much that I don’t realize I already have 2 in my stash moments that get us in trouble, LOL! I also like to give and I totally want to share my love of craft hoarding a-la this fabulous giveaway to kick off “stamp-tember” when we celebrate all things related to crafting and stamping by buying more craft and stamp supplies. Because I did purge a lot, this is a massive giveaway. All of stamps in the giveaway are either very gently used or brand new and a couple have the complete die sets as well. 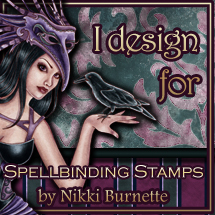 There are a hodge-podge of stamps representing some of my very favorite stamp companies. Most stamps are clear photopolymer stamps or are Red Rubber. My hope is that by doing this, these stamps will get lots of crafting love in their new homes and ultimately if they’re used to make cards it will bring joy to someone else. If you’d like to be entered into the drawing in order for a chance to win, please leave a comment and tell me what you enjoy the most about crafting and the crafting community. Although it’s not a requirement to win, however if you like my blog please become a follower so you never miss a blog post and please feel free to spread the crafting love with your friends who might be interested in a chance to win this AWESOME giveaway. Feel free to link to this post and share with your friends just be sure to reference people back to this post so that everyone knows where to enter for their chance to win. **THIS GIVEAWAY IS NOW CLOSED*** Only one entry per person. You must enter a comment on this post with a valid email in order to qualify. Open to US Residents only (sorry no International entries). Giveaway will end at 11:59 pm Mountain Standard Time on Friday, September 8th, 2017. Winner will be selected randomly via Random.org and contacted at the email address provided. Winner will have 24 hours to respond to the email in order to claim the prize. After 24 hours if there’s no response, a new winner will be selected. Approximate retail value is $350.00. Odds of winning may vary based on total number of entrants. Please note that all items in the giveaway were purchased by me or were handed down to me from crafty friends. I was not given any of these items to demo or test by a stamp or craft supply company and I am in no way being reimbursed or compensated for this giveaway. What a fabulous, generous giveaway! I love the online crafting community that have become some of my best friends! There are so many crafters who are so kind, encouraging, inspiring, and talented! Getting to meet some of them in person has been the icing on the cake! I have a crafty friend coming over to stamp with me today who I met through a facebook group! Wow! what a generous offer. The online crafting community is fabulous, especially for people like me who don’t have a local crafting group. Besides the wonderful, creative ideas, one gets a great deal of positive encouragement and support. There’s so much to learn and so many wonderful crafters who make videos or put up pictures of their beautiful makes. Happy Crafting! I love being able to scrap my family memories and make cards for people. Most of all I have made so many new friends going to scrapbooking retreats. I love to see the joy in someone’s face when they open a card that has been made just for t hem. Wow… what an awesome prize package! Very generous of you! I love the feeling of accomplishment when I complete a project. I really like planning what products to use on a special card and making it just for the recipient. I might use their favorite colors, or a specific theme I know they’d like, in order to let them know that I took the time to create something just for them! I love paper and fabric arts. Really enjoy reading blogs. Great way to get to “know” crafters from around the world, learn great techniques and get wonderful inspiration for my own work. Thanks for a fabulous giveaway. Wow what a incredibly genourous giveaway! I enjoy the true friendships and fellowships that crafting brings. It brings people together that will support each other and respect what one another does. I also just simply love color of any kind. I love the smiles you can put on people faces when you create something for them. Goodness! This is an awesome giveaway and sure to have any stamper just drooling! I still have a fairly small stamp collection and don’t have any kind of stamp platform so this would be a dream come true. I am already following you on email and love crafting because it gives me time to relax and be creative. With two young children and a home-based business I need something to take my mind off every day stresses and just find my inner kid. Thank you for the chance to win!! I am a follower and always enjoy seeing your beautiful cards for Dare2BArtzy! The crafting community is just wonderful and I’ve met many new friends, both online and in real life. Crafting has always been a favorite past time of mine, even from childhood. It’s a way to lose myself in creative activities that often result in something that I can share with friends and family. I make a lot of cards that I donate to local senior centers and nursing homes because the residents really appreciate it. They grew up in a time when a real handwritten note or card was something to look forward to. Thanks for your very generous giveaway Tonya!! What a great giveaway! Thanks for your generosity! I love this community for how supportive of one another it is. I may just be blind if does happen but I never see negative comments on social media for our community. It’s a nice oasis! I’m just learning how to make cards, I found @craftawaywithme on my Instagram and fell in love with this art. I also have found that the cardmaking community is nothing but positive! I have an illness (not life threatening) that I’m mostly home bound, and I order my supplies online. But as a beginner I try to find used supplies anywhere I can, they are hard to find. It’s very therapeutic for me in many ways and I’m thankful to have found this community. I’m shy to post my stuff online, I fear rejection, I’m looking to build up my skill set first before I share my creations. Thanks for doing a giveaway!